Welcome to the POA family, Gracelyn and Addilyn! This week we have had the pleasure of meeting Gracelyn (4) and Addilyn (2), both congenital BK’s adopted from China. Big sister Gracelyn has been in the U.S. for two years and this will be her second prosthesis, so she is guiding little sister Addilyn, who arrived just two months ago, through the process. When Addilyn took her first few steps, Gracelyn jumped up and down exclaiming, “she’s walking!….I can’t believe it!” Precious moments. Thanks to MeiMei and mom Kelley for introducing us to this wonderful family! 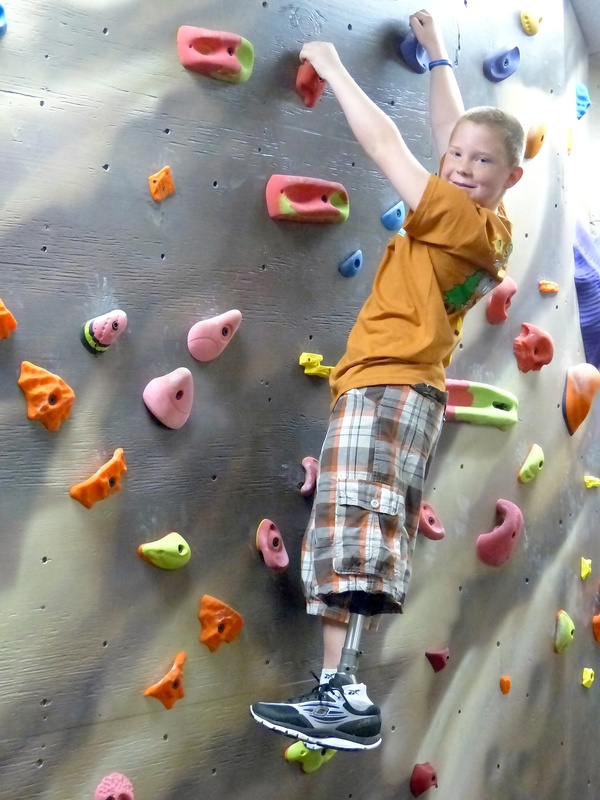 Born with a limb deficiency, Samantha recently underwent revision/amputation surgery which allowed her to be fit with a prosthetic leg. 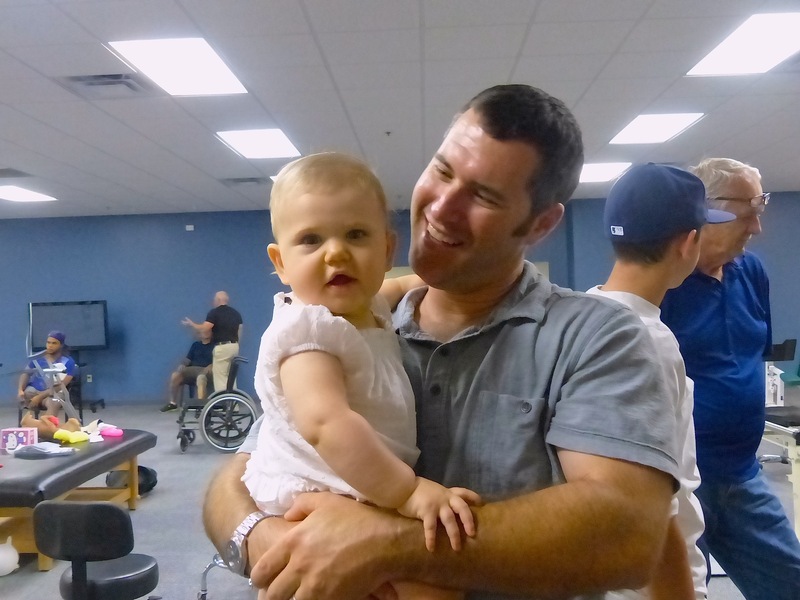 This week she celebrated both her first birthday …and her first steps! Congratulations, Sammy girl!!!! Following is a link to the video we made to document this special occasion! Samantha’s Day of Firsts! 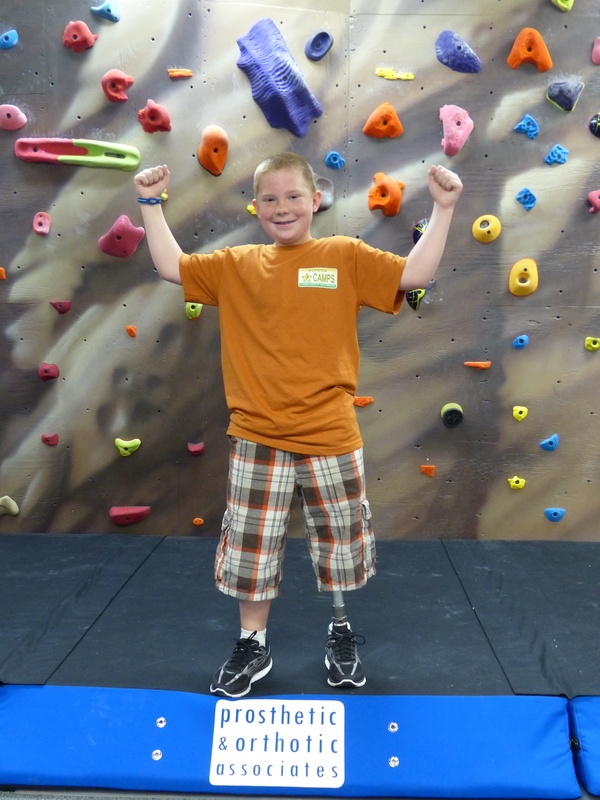 Steve Chamberland, POA friend, former pro wrestler, below-knee amputee, and founder of 50 Legs, a non-profit organization which raises money to provide prosthetics for children, has been nominated for Bay News 9’s “Everyday Heroes Viewers’ Choice Award”. Steve puts his heart and soul into his work. One of his most recent recipients was POA’s Zoe Gibbs, who is featured in a video interview of Steve entitled, “I’m glad I lost my leg; now I can help others.” You can view the video here —>Steve Chamberland interview and then cast your vote! 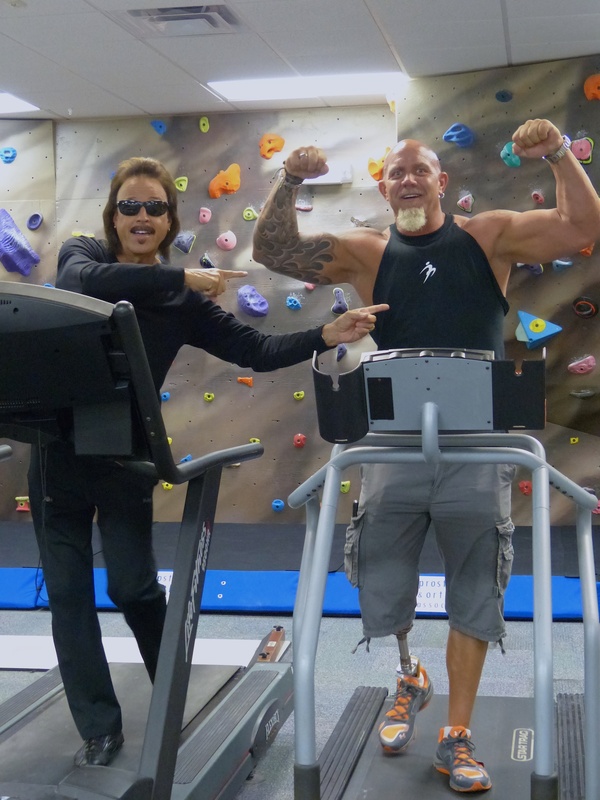 Steve Chamberland and Jimmy Hart during a visit to POA. 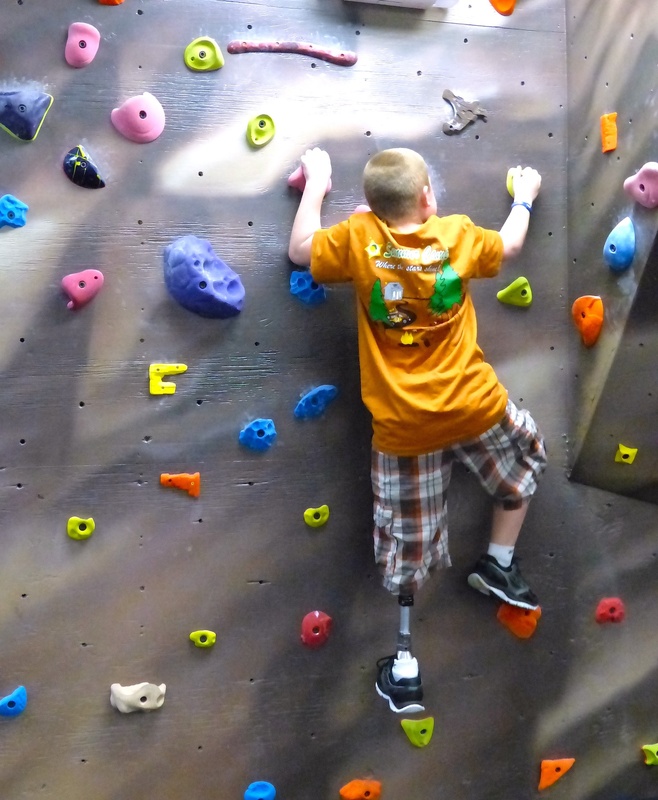 Kids (all amputees) give POA’s new facility a “thumbs up” for fun! Author adminPosted on April 2, 2012 Categories Amputee VideosTags amputee, amputee biking, amputee running, amputee sports, amputee video, child amputee, prosthesis, prosthetic device, prosthetic legLeave a comment on Kids (all amputees) give POA’s new facility a “thumbs up” for fun! This article is a couple years old; Anthony is now attending Dr. Phillips High School and a pitcher on their baseball team, but the story is just as inspiring today as it was then, which is why I’m sharing it now. 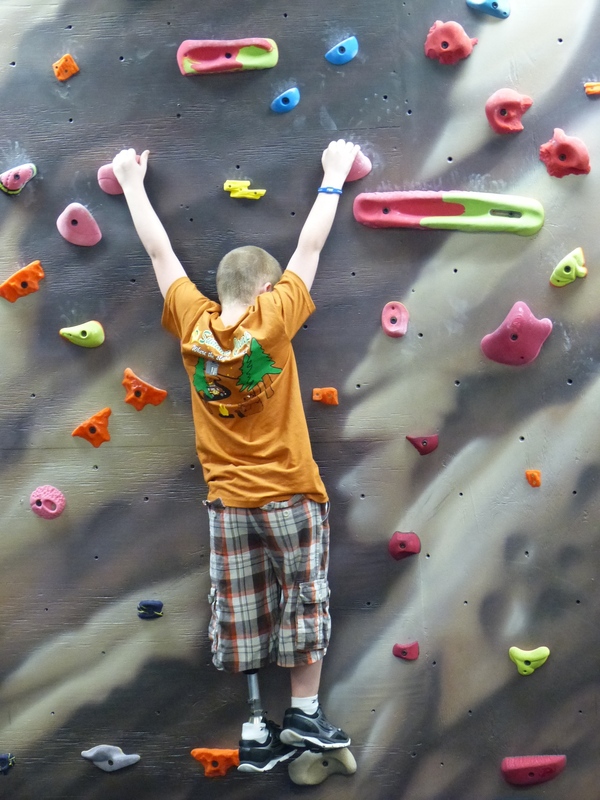 You’ll also read about and see photos of other athletes who, like Anthony, are competing in non-disabled sports.